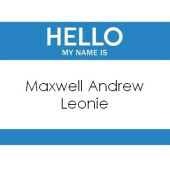 Welcome to our registry for Maxwell Andrew Leonie! We are so excited to meet our little one. We have made a Baby List that you can see below. You can also reserve items and shop inside the stores listed if you prefer. Thank you in advance for your generosity and for sharing in our excitement!